For Sigma Technology, it is very important to cooperate with university students. In their professional life, they may become employees or customers. Because of this, Sigma Technology has established a Student Ambassador role, with the mission to act as a liaison between the company and the students. Meet Pernilla Nordberg, currently a student of electrical engineering at Chalmers University of Technology and the Sigma Technology student ambassador. Pernilla, tell us what you will be doing in your role! 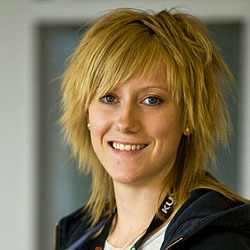 If you want to reach Pernilla with a question or comment, you may contact her on pernilla.nordberg@sigmatechnology.se.